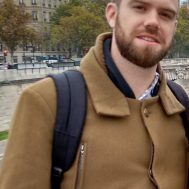 The release of Graeme Wood’s book The Way of the Strangers: Encounters with the Islamic State, published as a more detailed follow up to his controversial 2015 article in The Atlantic, “What ISIS Really Wants,” provides us opportunity to revisit the discourse around Islam, extremism, violence and religious legitimacy. A number of analysts in media and academia, including Wood, have argued that ISIS has a legitimate theological grounding in Islam’s source texts, and that its interpretation may represent the most theologically honest version of Islam. In making this assertion, these analysts uncritically accept claims of normativity and legitimacy of self-styled scholars who provide religious cover for the existence and practices of the so-called Islamic State. As is often the case in the discourse on Islam in the West, contemporary normative Muslim voices are effectively denied a platform to articulate mainstream positions. Instead, so-called Muslim reformers, such as Maajid Nawaz, Ali A. Rizvi, and others, are championed by special interest groups and embraced with open arms by the media as examples of what “good” Muslim voices should be. There is a temptation to rehearse this observation — that jihadists are modern secular people, with modern political concerns, wearing religious disguise — and to make it fit the Islamic State. In fact much of what the group does looks nonsensical except in light of a sincere, carefully considered commitment to returning civilization to a 7th century legal environment, and ultimately to bringing about the apocalypse. This statement, which represents an attempt to disassociate ISIS from the modern context from which it emerged and attach it to a largely re-imagined interpretation of the seventh century, not only displays a profound ignorance of Islamic legal history and theology, but effectively diverts discussion away from a critical reading of modernity. The intellectual heritage of jihadism is based not in an authentic reading of the Islamic source-texts, or a legitimate reading of early Islamic history, but rather in the pseudo-religious response to the dystopian conditions of the 19th and 20th centuries resulting from colonization and the associated attempts at social, political and economic modernization that took place across much of the Muslim world. 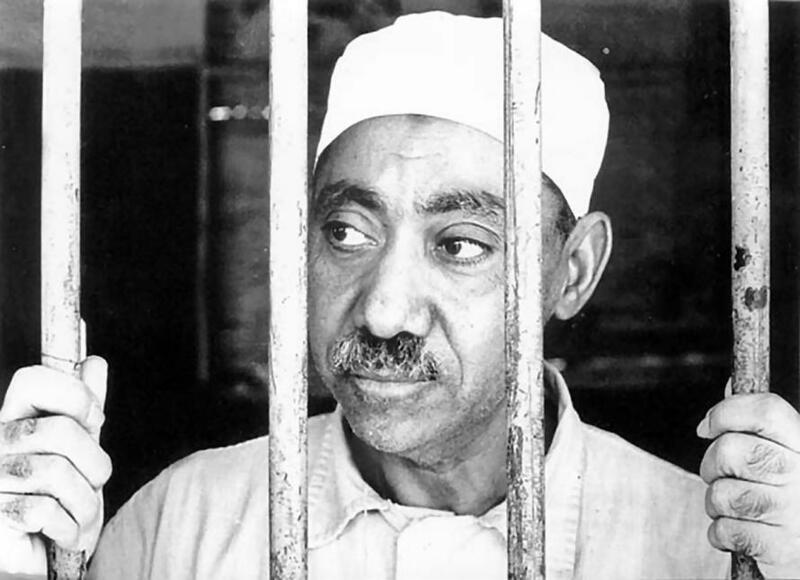 Contemporary manifestations of jihadism and violent Islamism also cannot easily be divorced from the thought world of Sayyid Qutb, a worldview that was deeply impacted by modern paradigms such as Marxism. Qutb’s reification of Islam as an unmediated body, endowed with what he determined to be its essential characteristics, transformed Islam into a modern ism undifferentiated from others in structure. In this vein, we must remember that the intellectual, social and political project of modernity gave rise to some of the most violent episodes and ideologies in human history and did not require religion to do so. The religious justification given by ISIS religious scholars for their depraved activities provides insight into their theological anchoring. These scholars have more often than not referred to fatwas (non-binding legal opinions) from a 14th century Damascene scholar named Taqi al-Din Ahmad Ibn Taymiyyah. Ibn Taymiyyah, although possessed with what was arguably a brilliant scholarly penchant, was a relatively obscure figure in his own time, let alone the centuries that followed, as he was accused of theological heterodoxy and even heresy. His rise from obscurity is recent and is intimately connected with various Islamic revivalist movements that began to emerge in the 18th century. Ibn Taymiyyah is best known today as one of the intellectual pillars of the Salafi movement, which has relied on his record of opposing scholarly consensus to ground their own rebellion against tradition. His appeal to ISIS and other like-minded groups lies precisely in what nascent Salafi movements find attractive about him: his penchant for opposing the scholarly majority and his indirect call to an almost anarchist interpretative approach to Islam’s source texts. The intellectual and ideological linkage between Salafism and ISIS is undeniable, a fact that some leading mainstream Salafi scholars have themselves acknowledged. For their part, mainstream Salafis argue that ISIS has taken Ibn Taymiyyah’s opinions out of context. This is correct, but it is in some ways besides the point, as Ibn Taymiyyah’s appeal comes from the fact that he, like his modern interlocutors, displayed a penchant for puritanical outrage against what he viewed as the failure of religious scholars of his time to adequately polarize light and dark. Nor is ISIS the first to invoke Ibn Taymiyyah, as his views were also used to justify violence against fellow Muslims in Iraq, Mecca and Medina by the precursor to the modern Saudi State. Early Islamic history also provides a window into the violence perpetrated by ISIS and other like-minded groups. Uncertainty reigned in the turmoil that followed the death of the Prophet Muhammad, years in which Islamic civilization expanded at an incredible pace. Reacting to this state of unknowns, the khawarij, armed with certainty confirmed through zealotry, reacted in a particularly violent manner. Known for their theological position that sin removes one from the fold of Islam (i.e., turns one into an unbeliever), and convinced that only they possessed the proper understanding of the religion, they perpetrated violence against any other Muslim who did not accept their positions and justified their violence under the premise that their victims were, in fact, no longer Muslims. Their notoriety stems largely from the fact that they were responsible for the assassination of the third caliph, Uthman, and the fourth caliph and the Prophet’s cousin, Ali. The khawarij had accused these men of not ruling by God’s law alone, an argument they used to justify their killings. This position has echoes today in the ideological camp of ISIS and its supporters. That ISIS types revile at being labeled by other Muslims as khawarij is indicative of the negative connotation the label carries, despite the obvious affinities. Modern revivalist ideologues also took pains to disassociate from accusations of khawarij tendencies from more traditional institutions. The point being here that if ISIS does in fact have an anchor in the earliest period of Islamic history, it is with a discredited group of zealots who perpetrated violence against their own community, not with the Prophetic generation. The most present danger in analyses that equate ISIS with an authentic expression of Islam is an increase of perspectival distortion in academic, media and political discourse with a consequent impact on public perception. The bypassing of contemporary voices that can speak authoritatively on the Islamic tradition could be interpreted by Muslims as an intentional silencing, which would also serve to increase the isolation of Muslim communities in the West as well as the distance between non-Muslims and their Muslim neighbors. This, along with the de-facto acceptance of Salafism as the most authentic manifestation of Islam, serves to undermine what little understanding of Muslims and the Islamic tradition that still exists in the West. Raising the specter of religious violence, the Other, slavery and all that is posited as being in opposition to Western liberalism has demonstrably served to increase fear of Muslims by virtue of ISIS’ “very Islamic” nature. Academic support for the position of ISIS as an authentic manifestation of Islam has effectively written off generations of Muslim scholars as inconsequential. Muslims who have attacked the religious legitimacy of ISIS have been accused of having a naïve view of their own religion. The view that ISIS represents an authentic expression of Islam displays an additional ignorance between a phenomenon that emerges from an Islamic milieu and one that is consistent with 1,400 years of religious tradition. Such a position is given credence by an academic lens positing that religion is to be understood in a phenomenological light. This perspective must continue to be challenged in academic circles. Yet even if we accept the notion that Islam is defined by what Muslims do, we are confronted with a reality in which the vast majority of Muslims hold beliefs that share no affinity with ISIS. It would seem that for some segments of the media and academia, the Quran and hadith are void of anything relevant except brutal spectacle. According to Wood, the Prophet’s campaign to unify Arabia was an “untidy affair.” Insinuations such as this find their rhetorical value precisely in their lack of detail and context, thus allowing the reader to fill in the blanks themselves. The Quran itself testifies against the literalist perspective that so many in the media and academia have accepted as normative. While not condemning literal interpretation per se (established interpretative methodologies are nuanced and highly developed), the Quran describes those who envelop themselves in religion but who fail to heed its commands and essentials as like “asses carrying scrolls” (62:5). The Prophet himself warned his companions against those “whose prayer and fasting will make your prayers and fasting seem insignificant. They recite the Quran but it doesn’t go beyond their throats. They shall pass through the religion as an arrow that passes clean through its prey.” The type of religion that the Prophet described, and which the above Quranic verse points to, is seemingly the type of religion that Wood et al find to be the most normative, positing Islam as some sort of “Boy Scout” religion whereby situational ethics are reduced to looking up “rulings” in the source texts as if they were some sort of rule book. The treatment of slavery provides a pertinent example of the neglect of historical context and contemporary understandings in treatments of Islam by journalists such as Wood and academics such as Bernard Haykel. The Prophet made it part of his mission to free slaves wherever possible, and the fact that the Quran addresses slavery does not imply that it instituted or even sanctioned it. Slavery was ubiquitous in the world in which the Quran was revealed, and formed a large part of the economy in both the Christian-Roman and Zoroastrian-Persian empires. Slavery in that period also cannot be held as the equivalent of modern-day or colonial-period slavery and was not inherently connected to race and/or class as it was in the modern period. This is a contentious assertion that has been frequently debated; the fact that in medieval Islamic history, slaves on occasion ruled as sultans or were employed as military specialists speaks to this point. 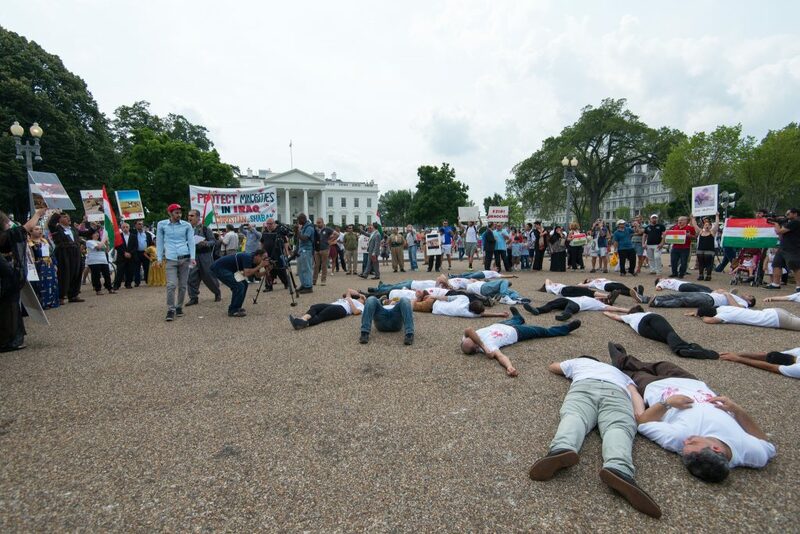 Anti-ISIS demonstration in front of the White House, calling for protection of religious minorities. > Flickr/Roberty Lyle Bolton. Nevertheless, it is widely accepted that slavery has been eliminated by universal consensus in the Sunni tradition and thus the re-introduction of slavery based on a de-contextualized textual indication, rather than representing authentic Islam, is an affront to Sunni normativity. Orthodox scholarship has been unequivocal regarding the invalidity of ISIS’ enslavement of the Yazidi population, who in fact existed for centuries under various Muslim rulers as protected peoples. It is also an oversimplification to reduce the concept of dhimma (protected peoples) to the paying of the head tax (jizya) that non-Muslims under Muslim rule paid to live freely and be exempted from military service. The reality of this institution throughout Islamic history is more complex and varied. In the Hanafi legal tradition, the official school of the Ottoman and Mughal empires, the concept of adamiyyah (lit. “Adamness,” i.e., humanity) was sufficient basis for the inviolability (ismah) of any human being. Adamiyyah was a term used by Muslim jurists and theologians abstracted from the Quranic concept of the primordial unity of mankind (the day of alastu bi rabbikum? Am I not your Lord? (7:172)) to refer to humanity’s primordial unity. In this formulation, the inviolability of an individual was based not on creed, and certainly not on ethnicity or race, but rather on the mere fact that he was a human being. Regarding the question of the caliphate itself, in the Sunni tradition, it has generally been considered a practical legal requirement but one that is far from integral to the faith. The historical reality of the institution speaks to the fact that it came to represent a pillar of legitimacy and an axial institution around which legitimacy revolved. So while Sunni jurists and theologians have theorized the ideal conditions, they were rarely if ever met, nor were they necessary. The Abbasid Caliphate exemplifies this condition wherein various Sultans ruled Muslim lands through the theoretical legitimizing power of the caliph. In later Islamic history, the Ottomans and Mughals ruled hugely diverse populations through the axiomatic sharia, of which the caliph formed an institutional pillar, and none of them enslaved or killed off their non-Muslim populations. ISIS and those like-minded who express anger toward these empires and accuse these Muslim polities of not ruling by sharia display an ignorance of their own history. Those who sincerely wish to discover and understand the roots of ISIS ideology need to be cautious to avoid a discourse that, intentionally or not, incriminates and renders suspect Muslims worldwide because of the actions of a few. Delegitimizing the ideology of ISIS can only be accomplished through a sustained multi-pronged effort. Part of the answer lies within the Islamic tradition itself. On the ideological level, the orthodox tradition, with its diverse interpretative traditions infused with spirituality, arguably provides the best defense against the mutated approach to Islam that is invoked and depended on by ISIS as an ideological pillar. The discussion should also not lose sight of the conditions and circumstances that provide the breeding grounds for such ideologies to take root. Despite the prevalence of such conditions across significant portions of the Muslim world, the fact that the ideology of ISIS remains very clearly on the fringe testifies to its widespread illegitimacy. *Image: A screenshot from Graeme Wood’s controversial 2015 article. The Atlantic. Michael Arnold is an independent researcher based in Toronto specializing in philosophy and theology.